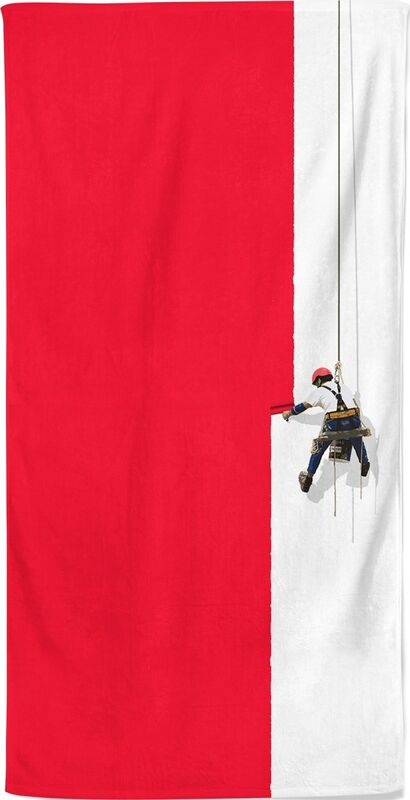 This creative beach towel displays a steeplejack painter painting color onto the towe. Perfect beach towel for the creative & painter types. Creative painter designer beach towels by Squeaky Chimp turn a day at the beach into a fiesta. These beach blankets are made of a super-soft microfiber material to ensure extra bright and vivid colors. They’re great for the beach or as an outdoor throw blanket.